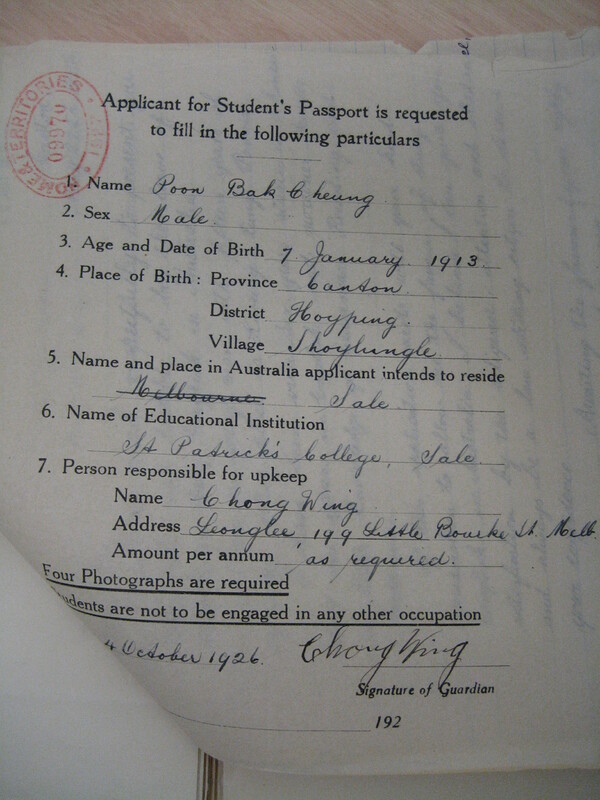 Names can be one of the trickiest parts of researching Chinese Australian history. They consistently seem to puzzle and confuse people – there’s the way that given names became surnames, the way that spellings changed over time and in different places and the way that ‘Ah’ appears everywhere. 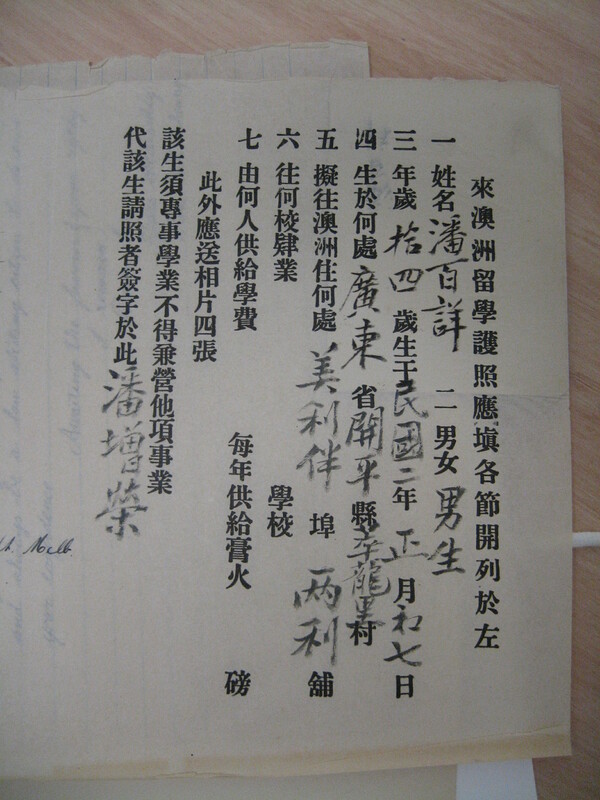 I’ve written before about some of the challenges that come with researching Chinese names in Australian records. There are tricks you can learn, but my main piece of advice would be to be creative in your searching and in your spelling. I’ve recently been tracking a man whose name I first came upon as Mum Shou Pac—but he’s also turned up as Man Sue Bach, John Ah Shue Bach, John Ah Shue and John a Shue. All of these variations appeared in records from the same year and when he was living in the same place! I am yet to track him before that one year, and my stumbling block is knowing what name his baptism and marriage and the births of his children might be listed under. 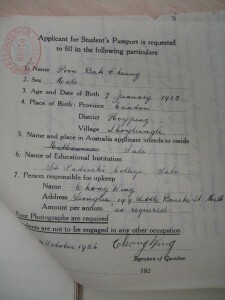 I’ve heard some people say that the irregularity of spelling of Chinese names in early Australian records was the result of the disregard that white residents felt for Chinese residents—perhaps even that it was the result of racist attitudes. I have a slightly different take on it, as illustrated by discussions during a court case from South Australia in 1845. John Pegue: … I am no scholar; I do not know how to spell my name; I call it Pegue. Mr Poulden: Do you know the letters in your name? Can you write? John Pegue: No, I cannot write English; it is a China name; I cannot write Chinese; I am no scholar—not at all; my China name is Piggu. I think there are a couple of things going on here—things that happened over and over again as Chinese residents and white residents met and interacted in the colonies—things that influenced the way that many thousands of Chinese names were recorded in Australian records. First, although it seems that John Pegue was fluent enough in English to give evidence, he was not literate. He did not know the alphabet. He could not even write his name in Chinese. He didn’t then know how his name should or could be spelled in English. There was no ‘right spelling’ to be written down. Second, those who were recording his name in English couldn’t decide among themselves what spelling best represented the sounds of Pegue’s name. Was it represented better with a single ‘g’, or two ‘g’s’? Because Chinese names were written down phonetically, the way that English-speakers recorded them could be influenced by their own background, dialect, accent and level of literacy. I’m not saying that cultural ignorance and misunderstanding had no part in the curious ways that Chinese names were recorded in colonial Australia. But when you explore the mechanics of how those names were written down, and about the personal interactions and exchanges they involved, the situation seems so much more complex and interesting than simple ignorance. I’d love to hear other stories of strange renderings of Chinese Australian names. 1845 ‘LAW AND POLICE COURTS.’, South Australian Register (Adelaide, SA : 1839 – 1900), 26 November, p. 3, viewed 12 February, 2013, http://nla.gov.au/nla.news-article27451418. On 19 March 1930, the Sydney Morning Herald reported the arrest of a white girl, two white men and a Chinese man in a ‘suspect “Pak-a-Pu” den’ in Sydney. Along with the suspects, the police took with them ‘a number of squares of rice paper covered with strange Oriental signs’ (Sydney Morning Herald, 19 March 1930). Pak ah pu was one of the popular forms of gambling that made their way overseas with nineteenth-century Chinese migration to Australia (and New Zealand, the USA and other places). Its name came from the Cantonese baakgaap piu – literally meaning ‘pigeon’s note’ or ‘pigeon’s ticket’ – and it was what was commonly known as the Chinese lottery. Spellings vary, including pak ah pu, pak a poo, pak a pu, with or without spaces and hyphens. Baakgaap piu is a lottery game based on the first eighty words of the ‘Thousand Word Prose’ (Qian zi wen), a well-known four-word-per-line prose-poem. No words are duplicated in the prose; hence there are eighty different spots on which the players can bet. A player wins if his choice of words matches the winning word(s)… The game’s popularity was due to the fact that, in addition to being a simple lottery that required no skill but only luck, it did not require presence of the player, who could carry on his usual business while playing the game. Agents in storefronts wrote up the lottery tickets for the players; in addition, couriers for the operators were readily available to pick up or deliver bets and winnings. This game was also well received by non-Chinese players. The Japanese mockingly called it baka (‘foolish’), a play on its Chinese name, baakgap (lit., ‘pigeon’). It was also immensely popular among white players, so much so that, according to Stewart Culin, white casinos later adopted it and turned it into the game of Race Horse Keno, and later, simply Keno. 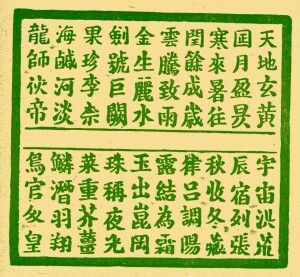 Here, eighty numbers, written from left to right and top to bottom, replace the original Chinese characters, which were arranged from top to bottom and right to left. The Stewart Culin that Hom refers to was an American ethnographer who, in 1891, wrote a paper entitled The Gambling Games of the Chinese in America. The Elliott Avedon Virtual Museum of Games at the University of Waterloo (Canada) has more information about Stewart Culin and an online transcript of his paper on Chinese gambling. 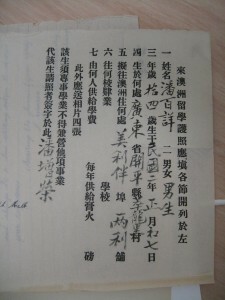 In Australia, pak a pu was one of those parts of Chinese culture that became so familiar that it entered the vernacular. Eric Partridge’s Dictionary of Slang and Unconventional English lists the expression to ‘look like a pakapu ticket’, meaning to be completely indecipherable (8th edition, edited by Paul Beale, pp. 850–51). 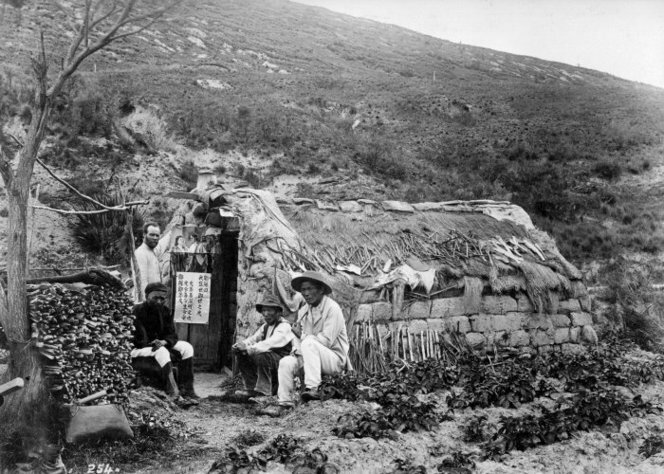 And another small reminder of the widespread presence of the Chinese in 19th- and early 20th-century Australia and their influence on colonial life in many ways, large and small.